"Was the trip of a life time mate, still tell the story when I said to you about taking the aluminium cases of and first thing you said, was yeah less stuff stuff to break haha. True rider and enjoy that experience you shared. Would love to come back and go further south with a few lads. I’m a explorer mate, like the solo missions, but also enjoy meeting great people. Thanks for knowing I was good to go and was going to get back on one piece, done a lot of riding and you picked up on it pretty quick. Cool part the world down there and I will be back to push further south at some stage. 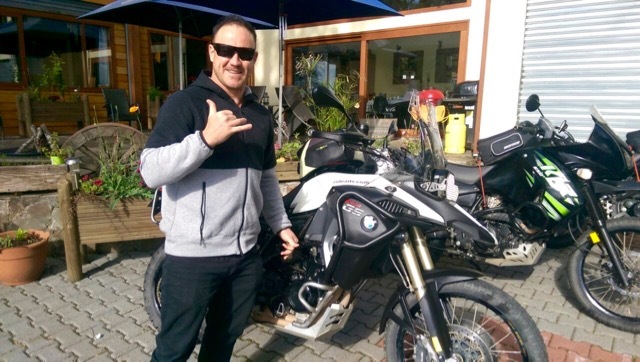 - Ross Huxford from New Zealand was able to ride some of The Best of Northern Patagonia on a BMW F800GS in 2017, and a had sampling of what lies ahead when he returns with friends and rides further south. Come on back, Ross, Patagonia awaits you all!